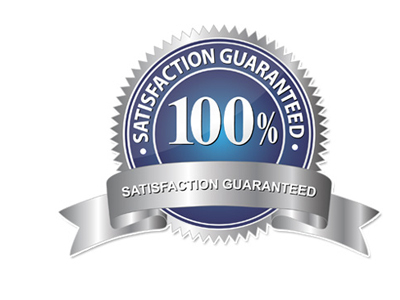 We offer detailed guarantee's to help put your mind at ease. Our goal is customer retention and satisfaction, we have high quality standards for our services and back them up with multiple guarantees. At Club Rollers, we stand behind the products and services we deliver. Our bats come directly from the manufacturers that produce them and retain all the durability and longevity of brand new bats, because they are just that. You can expect seasons’ worth of swings out of your bat, as we carry the highest quality clubs on the market. If your bat breaks in gameplay within 30 days, just return it to us and we’ll replace it free of charge. It’s that simple. Your satisfaction is paramount, and we do our best to ensure that your bat is all that you expected…and more. We Honor the Manufacturer Warranty on Rolled Bats! We now honor manufacturer warranties on all of the heat rolled clubs we sell. If your bat comes with a manufacturer warranty and breaks within the manufacturer timeframe, we Club Rollers will handle the entire replacement process for you and return you a replacement bat. Our Heat Rolling guarantee is simple, if you are not completely satisfied with this service we will refund the total we charged for this service minus any shipping costs. This includes new bats we sell with heat rolling as well as individual bats sent into us! Our goal is to make you a returning customer for years, we need you to be 100% satisfied with our services. If you are not completely satisfied with your bat shaving service we will refund you the total shaving cost! This does not include individual bats that are sent in for shaving alone, we charge $35 to include hard costs of endcaps and shipping charges.